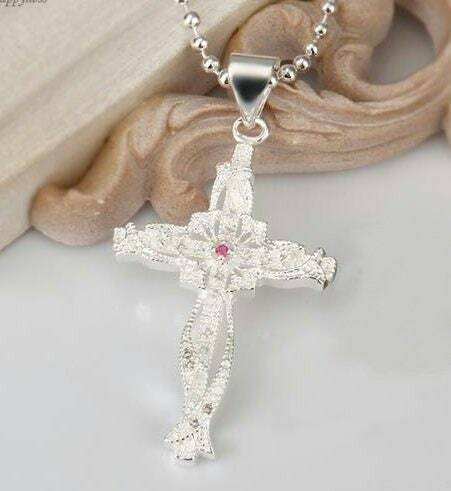 Style and Sophistication abound with this Beautiful Sterling Silver Plated Pendant. 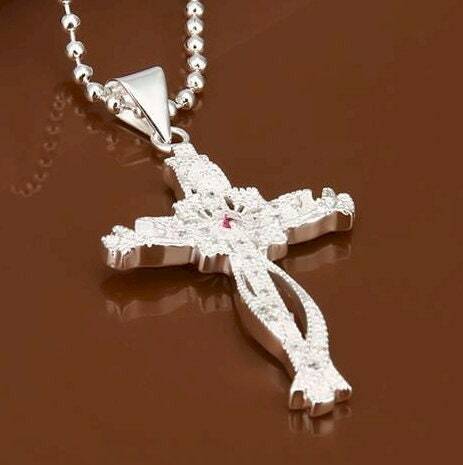 Silver Beautiful Cross Infinity Weave Rhinestones Statement Pendant Necklace. Center Stone is Rose Colored and really stands out. A Saint Michaels Jewelry exclusive design. 2" long x 1 1/8" wide. Comes with a Silver 18K White Gold Plated 17" 1.5mm ball chain with positive locking lobster clasp.